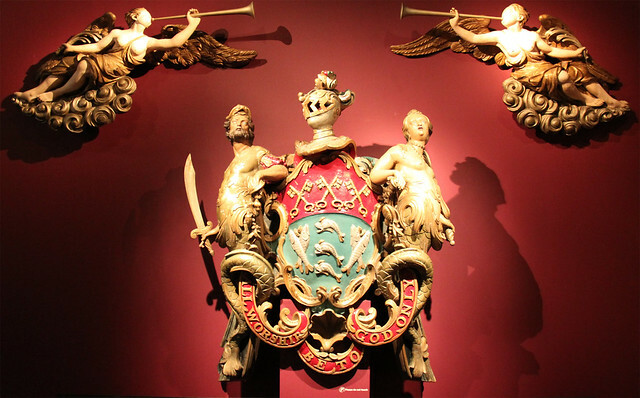 Carvings from a barge belonging to the Worshipful Company of Fishmongers. 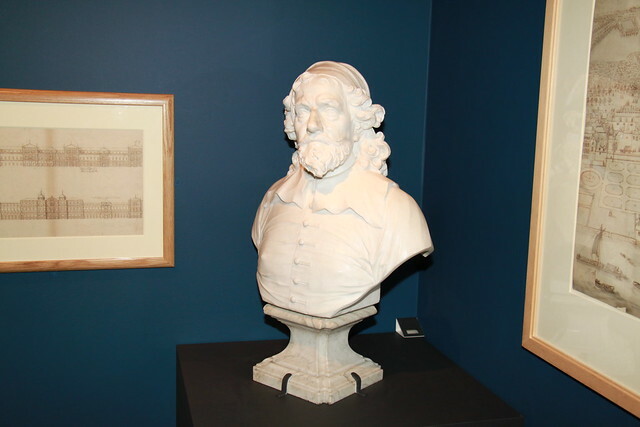 Bust of Inigo Jones, architect of the Queen's House, Greenwich. 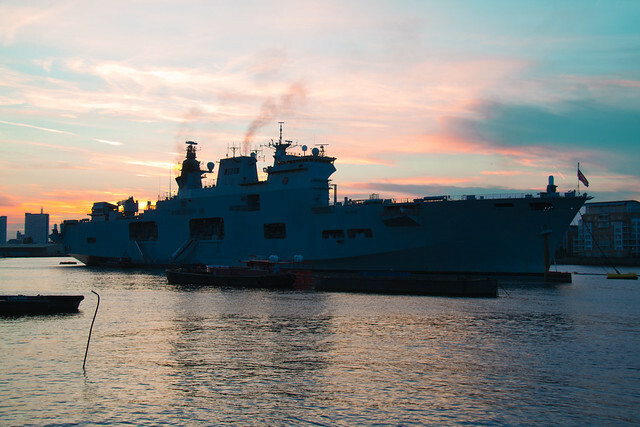 Photograph of HMS Ocean taken at the weekend as the sun set. 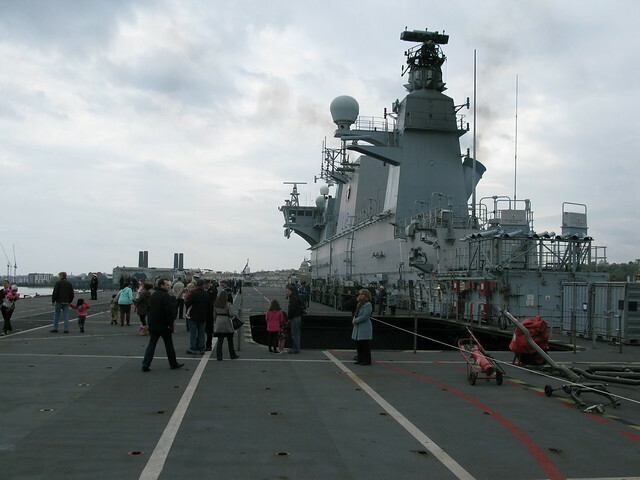 The Navy's biggest vessel welcomed visitors on board today to take a look around. 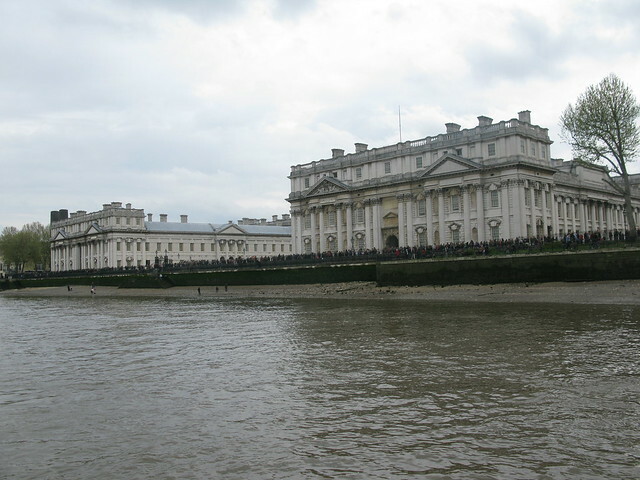 By the time the Open Day got under way at ten o'clock, a queue along the river front already stretched nearly as far as the Trafalgar Tavern. 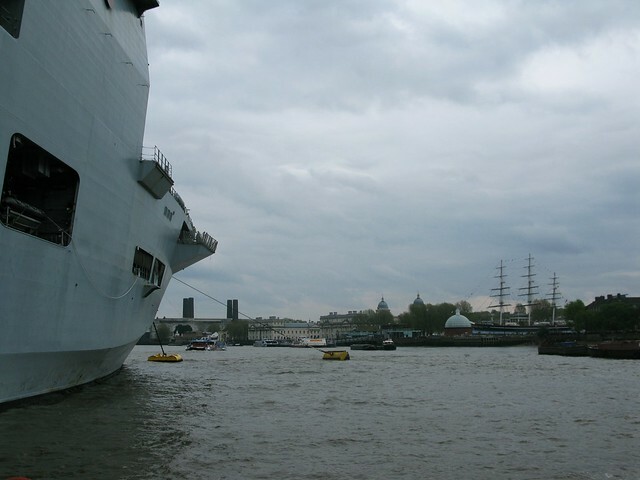 Visitors boarded City Cruises's Princess Rose at Greenwich Pier and were taken across to board HMS Ocean. 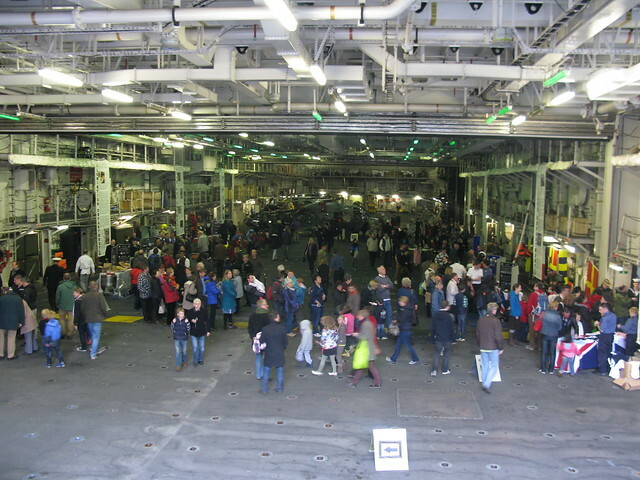 Many thanks for the chance to look around and thanks to the crew for being happy to explain their work. 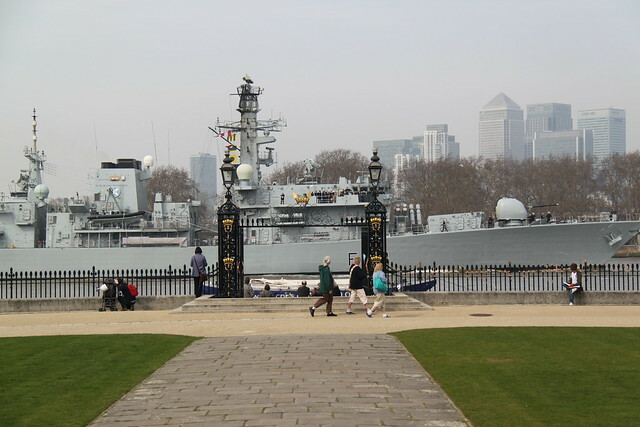 The Royal Navy frigate HMS St Albans passed Greenwich today after having been berthed in the Pool of London since Saturday. 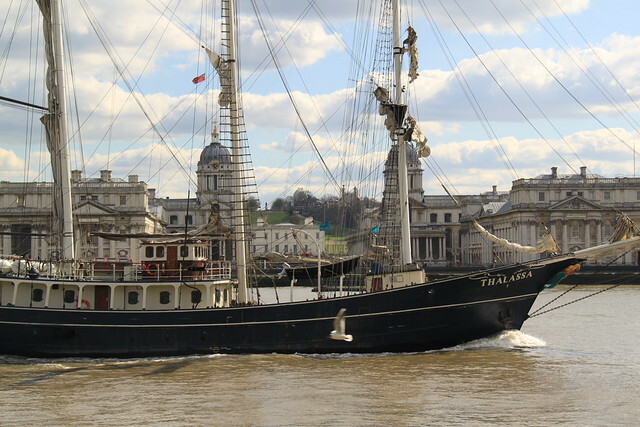 Thalassa is one of the tall ships that will take part in the Sail Royal Greenwich hospitality event this summer. 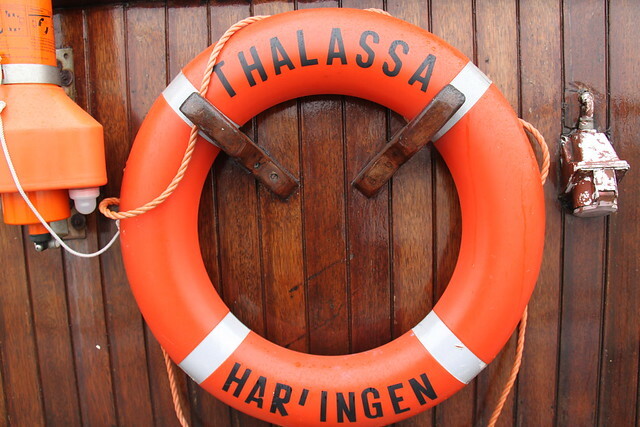 Thalassa, a 47-metre long vessel, is currently being used as a training ship in preparation for the event and can be seen on the river most week days until the end of March. 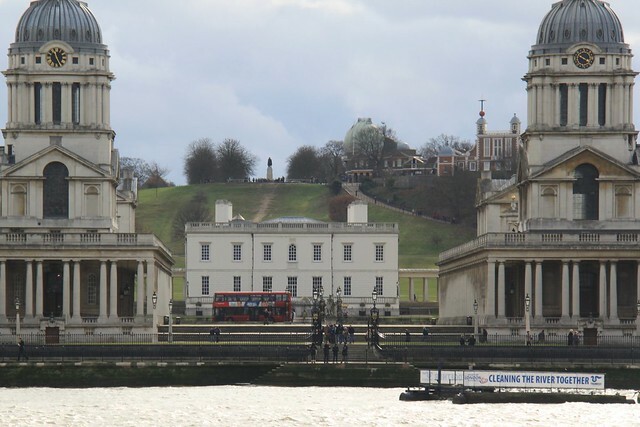 While I went to Island Gardens to photograph her today, Stu Mayhew was in Greenwich Park and caught the moment (above) the three-mast tall ship went past the Old Royal Naval College. 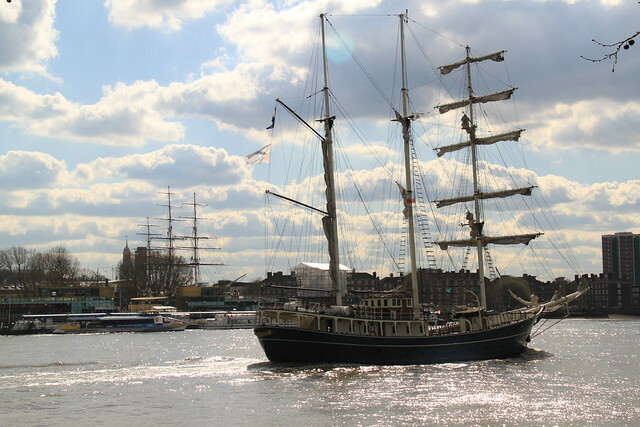 Thalassa passing the Cutty Sark. 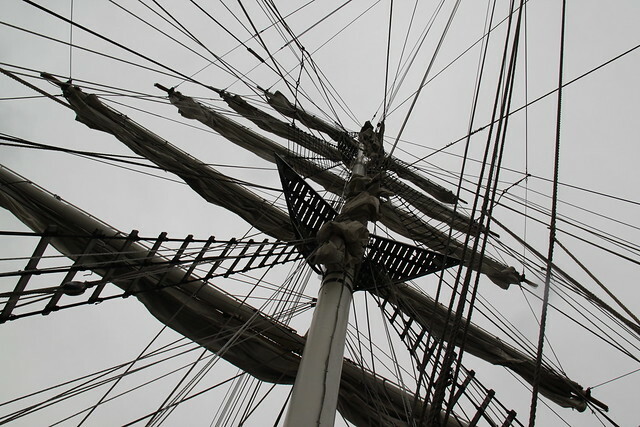 Ten new skippers successfully completed their training last week. It was a nice to day to head out with the camera, which is exactly what Daren did. 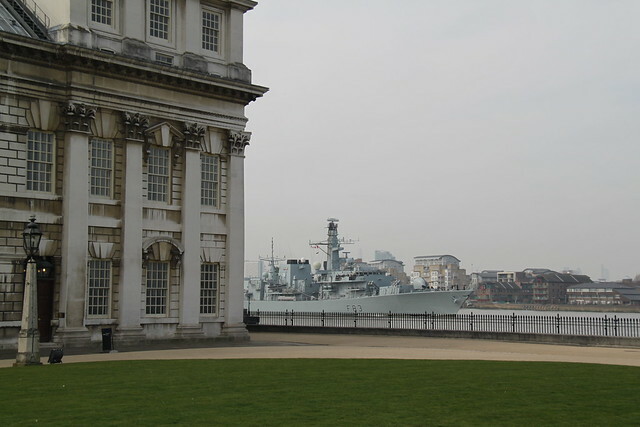 His timing was particularly fortuitous because Hnlms Holland - Dutch patrol vessel - was just arriving in Greenwich. 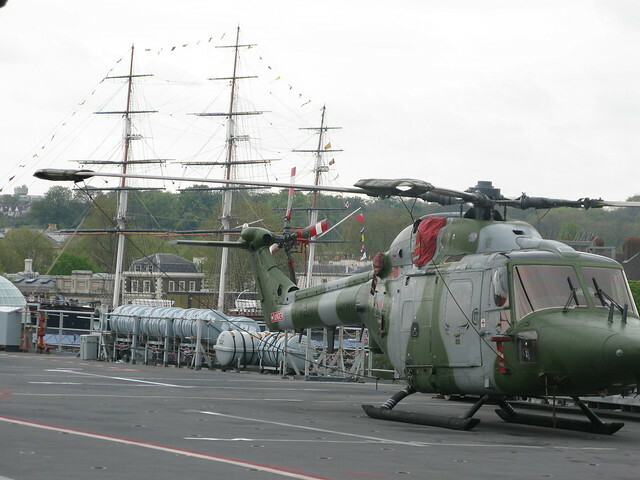 On board, apparently, was Crown Prince Willem-Alexander bearing ornaments to presented to the National Maritime Museum for its Royal River exhibition that opens in April. 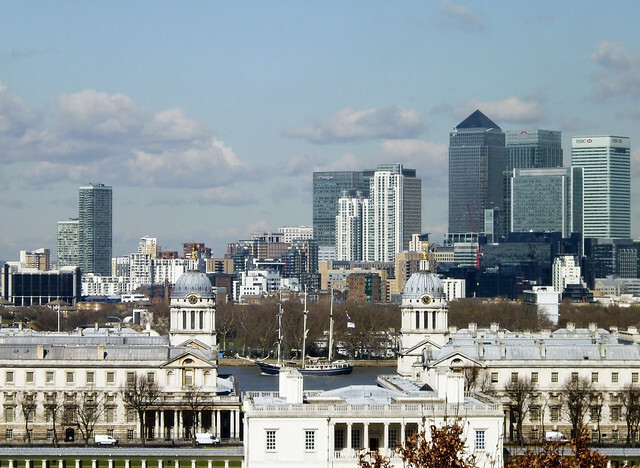 Photograph of Greenwich I took from Island Gardens recently. 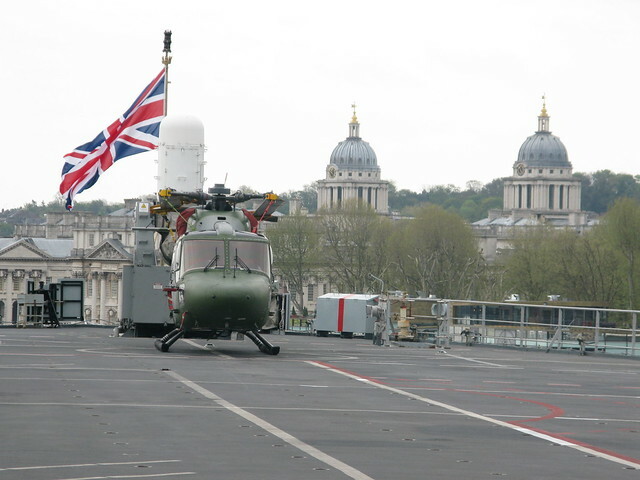 I was waiting to get a double decker bus dead centre with the Queen's House behind it, and mis-timed it as you can see above! 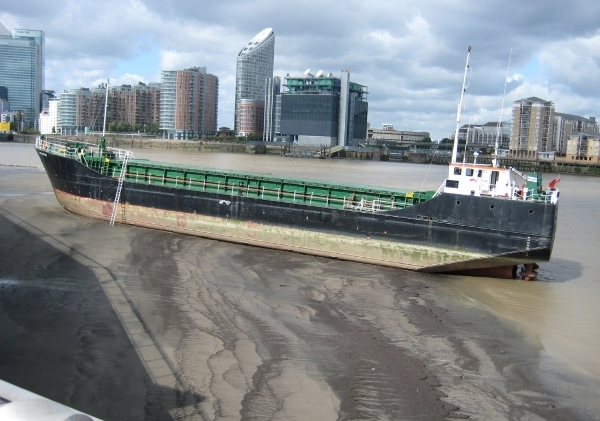 Local photographer Tim Keeler sent me this snap of one of the Thames Clippers aground, near the O2 last week. 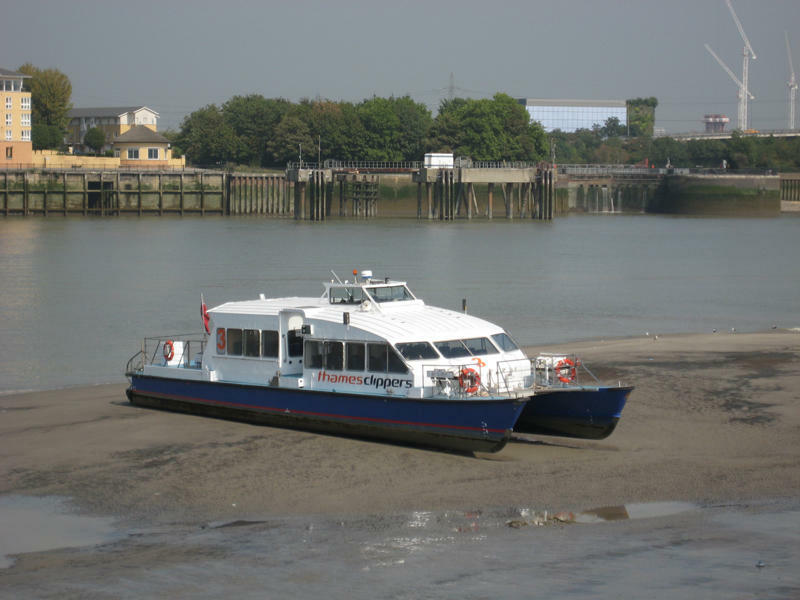 The boat was deliberately placed there by Thames Clippers so routine maintenance could be carried out once the tide was out. 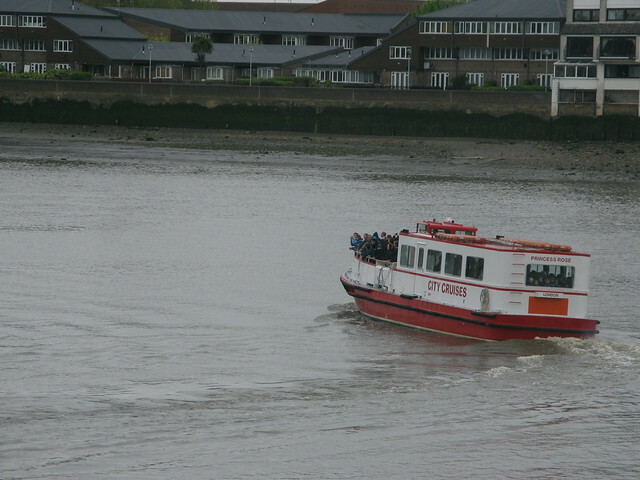 Tim saw another boat in the same spot, presumably for the same purpose, when he went back a few days later. 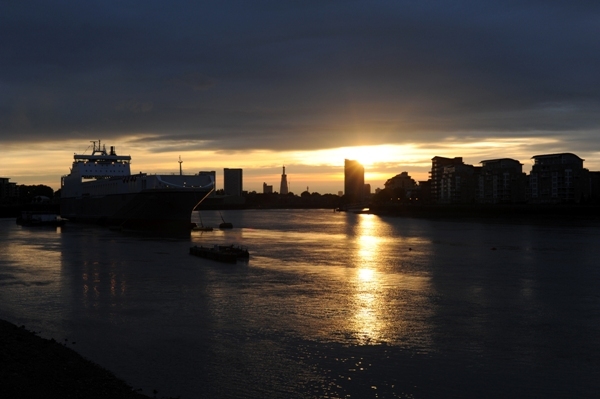 Thanks to Fergus Noone for today's Daily Photo - a beautiful photo of Cobelfret's new container ship, the Amandine. 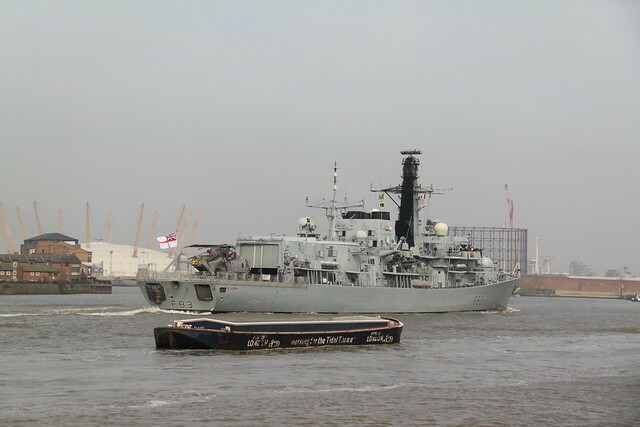 She headed back out to sea today after a two day stop off. 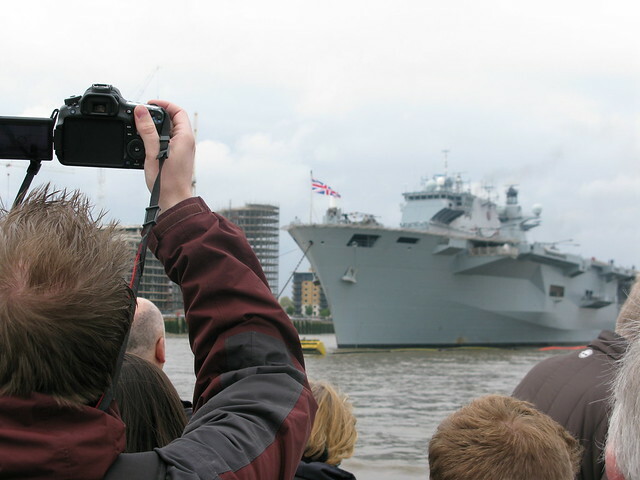 Don't miss Fergus' column on the website today where he explains some of the functions on compact digital cameras. 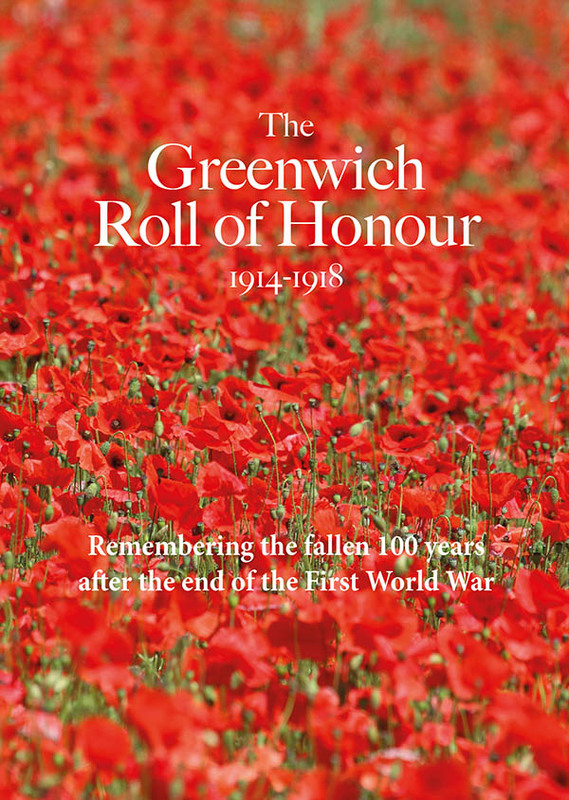 I've also heard that he's giving away a signed print to anyone that 'Likes' his new Facebook page - the deadline for the offer is the 31st May so don't hang about! 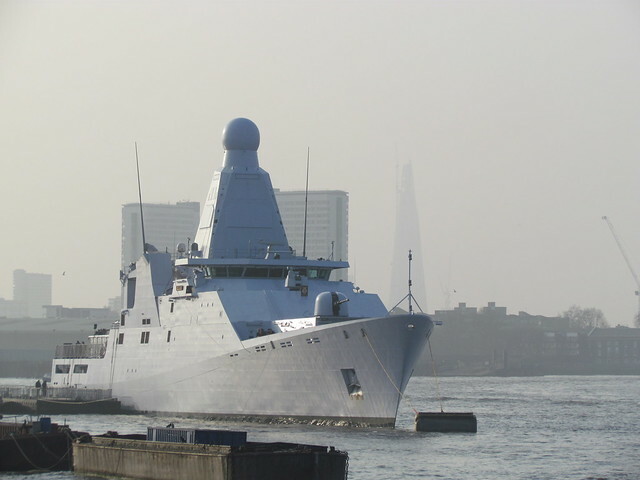 I also received this photo of the ship, which reprises the name of a former Cobelfret ferry, from Alan - many thanks!